Learn the best way to trade debit spreads – its a great trade for beginner option traders. Lots of tricks in the article so read carefully. If you are a new entrant in the options world – a beginner – then you must know one trade and that is the debit spreads. 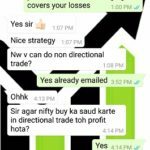 Note: If you do not know what a debit spread strategy is please read Call Debit Spread. In this post I will only explain how you can trade debit spreads in a better way. 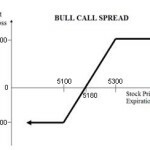 When you feel the stock may move up you can trade Bull Call Debit Spread: Here you buy ATM (At The Money) Call options and sell OTM (Out of The Money) call options to reduce the cost of buying calls. When you feel the stock may go down you can trade the Bear Put Debit Spread: Here you buy ATM (At The Money) Puts and sell OTM (Out of The Money) Puts to reduce the cost of buying puts. Loss in both the above case is restricted to the premium paid minus premium received. That is your final net debit. Can you see how its much better a trade than simply buying options? Here either your option buy win or your option sell wins or both win and you can end up making even more than a naked option buyer. Why is this a great strategy for new traders? That is because right from the very beginning of their options trading journey they will learn the importance of hedging. Hedging is something that I have been emphasizing and educating traders ever since I started this blog. After I lost a lot of money in the stock markets I looked for strategies that only lost a limited amount and then I found about hedging. When I released its benefits I started telling it to my friends and now to my website visitors. After talking with almost 1000 option traders till now, I can only confirm that people still do not like to hedge. Hedging is considered a waste of money. These traders pay heavily later for not giving due respect to hedging. Therefore if you are a new trader and reading this you must start with the debit spread strategy. It will teach you the benefits of hedging. Once you start valuing hedging, you will never ever take any naked trade, and I assure your trading account will only grow with time if you do not take silly trades. 1. If you trade options you must be familiar with the Options Greeks – Delta, Gamma, Theta, Vega & Rho. One of them, Vega, has a lot of impact on options premium. Vega is nothing but volatility in the markets. If there is too much volatility and fear – Vega increases and it in turn increases the premium of options. When you are doing a debit spread, you want the options premium to increase because you are an option buyer. You buy low and sell high. So a debit spread is also a Long option + Long Vega. When both them work the results can be great. If the markets are normal and there is not too much volatility, a drop in VIX by more than 5% from the previous day is a great day to trade the debit spread. In India 12-14 VIX is considered as low, but it can remain in this range for months. That does not mean you should not trade debit spreads when its in this range. Since these are short term trades – when the VIX drops big from the previous day you can enter the trade. Note: If you fix a range of VIX to trade debit spreads then it could be months before you get a chance to trade. So a good fall is good enough day to try to time the debit spreads and give yourself a fair chance to win. That does not mean the trade will be in profit – the VIX may decrease even further or the markets may move in opposite direction. But by waiting for the day for the VIX to drop, you will give your trade a better chance at success. Remember by doing this you are only giving yourself a better chance to succeed – that does not mean that the trade will be profitable. For debit spreads to succeed the direction also has to be correct. 2. 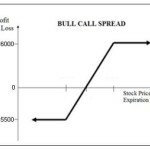 Debit Spread profit booking Trick – Book profits in short and let the long make money later – Suppose you took a Bull Call Debit Spread on Nifty thinking that it will go up – but Nifty is going down. Its ok the sold options are making money. Once the sold options have lost a considerable amount of premium, you can close them in profits and hope for a reversal. If it does great – you can book profits in your long options as well – if it does not still ok as you did make money from the short options – so the loss is very small. Then you should exit when Nifty reaches 8600 – there are no profits after Nifty moves beyond 8600 – the shorted strike – so why remain in the trade? 4. Comparing a naked option trader who buys OTM options vs an Debit Spread trader who buys near the money options: Lets suppose your friend also buys options and you do debit spreads. The only difference is that he buys a 4% out of the money option and risks 40-50 points. His view is that if Nifty strikes 3% away option he will make good profits. However you buy at the money option and sell just out of the money – you are also risking 40-50 points. Who do you think will make more over time? Obviously you because you are giving yourself a fair chance to make money while he is just trading on hope. Note that the risk is same in both trades but the one who is buying at the money options will make money more often than the trader who loves naked buys, but due to more cash risk, buys out of the money options. Since debit spread removes fear factor of losing more money you can trade close to the money and give yourself a better chance to succeed than a trader who buys out of the money option. Here is the reason: Vega effects the near the money options more than out of the money options and a movement of 1% is very easy to achieve for Nifty whereas a movement of 3% may take a lot of time and by that time the value of the OTM option may be less than the price it was bought. Note that since both of them are losing only 40-50 points still the debit spread buyer is at advantage as he need not take a stop loss. He can easily follow the strategy of booking profit in the short and let the long stay active till expiry. There is a big chance that Nifty reverses and makes profit in the long trade as well. The trader who bought out of the money option has no profit to book – he may have stopped out a long back. In a debit spread the stop loss is in built so you need not take one. So next time you so a debit spread make sure you are buying at the money option and selling just out of the money. 5. Some traders leave the bought option till expiry to maximize gains: In this case also what if Nifty is exactly at the strike option of the trader who buys out of the money options? His option expired worthless, but the one who bought closer to the money made the max gains. 6. Here is one great strategy: Since Nifty historically moves up why not put a debit spread at the money on the first day of expiry and forget it till the expiry day? If my knowledge is correct the max loss and gain on this trade on an average will be 50. Since historically Nifty goes up – the trade over the years should be profitable. Warning: This has not been tested. Someone with a software who can back-test this strategy can check it for the last 10 years and know. If you have such a software to back-test this please let everyone of us know in the comments section. 7. You can also trade every month both call and put debit spread at the money. Now when Nifty hits any side short strike – take profits out, close that side, and leave the other side open – wait for reversal and take profits on the other side as well. For this to work Nifty has to reverse. 9. Another benefit of this trade is that discipline is forced. It forces you to be a discipline trader as you will profit in one of the trades or both, reducing your losses. 10. One Last Advice: If IV is high then its better to do credit spreads. Just reverse your debit to credit – that is sell the one near to the money and buy the one out of money. When VIX drops you can profit. Important: Since debit spreads depends a lot on VIX, and since VIX increases when Nifty falls – a Bear Put Debit Spread traded when VIX is low will perform better than a Call Credit Spread – both done at the money. However if VIX has already increased and dropping and Nifty is range bound, then the Call Credit Spread is a better choice. Hope if you are a debit spread trader you got some knowledge of trading them better. If you have any question on debit spreads please do ask in the comment section. Thanks Lokanath. Nobody can guess where the stock will go after you trade this – but since the loss is limited you know well before the trade the max loss and gain. If you are comfortable with the max loss or gain just go ahead and trade. Also I am sure you know “why” you are doing this. If the trade is based on pure speculation then you can take that its a 50-50 chance. However if you follow this stock and are taking a calculated risk, then the chance of success increases to 70%. That’s the reason I recommend making a note of 4 or 5 stocks and trade ONLY in them. Trying to make money in stocks that you do not follow is pure gamble. You do not need a software or anything to follow a stock. If you watch it for a few months you will have a fair guess of its movement. No you will not be right every time – but percentage of success in the calculated risks you take in stocks you follow increases drastically. How about doing the debit spreads on next series as they will fetch more premium. And why not you make some videos on your all these fantastic posts and upload them on you tube? Seeing is much good for brains to retain. Whatever, just like being with you in your website although I have not taken your course. You can trade debit spreads for next month. You get more time and more premium. But you also pay more to buy the option. The difference between what you buy and sell for current month and next month contracts will not be much, so its much better to go for debit spreads for the current month. Yes if only 10 days are left for expiry, you can trade next month. A day is 24 hours only 🙁 . Guess I will have to stop sleeping to make Videos. Hope you got the point.